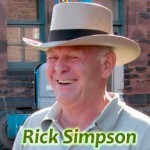 Rick Simpson has been providing people with Hemp Oil medicines, at no cost, for about years. The results have been nothing short of amazing. Watch the documentary Run From The Cure to understand more about using cannabis as a cure for cancer and other medical problems!